"In Flanders Fields" memorial on the John McCrae Memorial Site, Boezinge, Ypres, West Flanders, Belgium. Colonel John McCrae statue at Guelph Civic Museum unveiled in 2015 to commemorate the 100th anniversary of his poem "In Flanders Fields" being written. 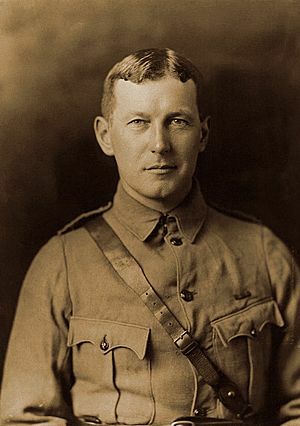 John McCrae Facts for Kids. Kiddle Encyclopedia.